I dropped this out of a two story window onto a paved parking lot yesterday, as part of a sanctioned science experiment. The egg survived and this photo was taken post-drop. 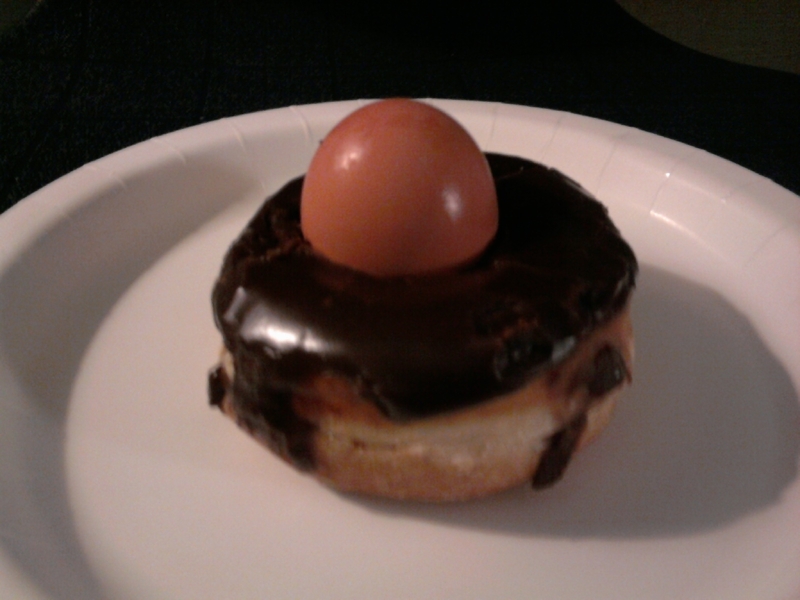 Should you ever need to bail out of a burning building, I recommend the Boston Creme. Next PostNext Spam the spammers.